Throughout his prolific career, Trevor Appleson’s work across different subject matters and genres, from portraiture to still life, has remained consistent in its exploration of photography as medium and process. Always working outdoors in the natural light, arranging his subjects in front of a portable black fabric backdrop, Appleson creates images that reveal and enact the tensions in photography’s inherent nature. The image represents an artificially ‘staged’ scene, carefully timed, posed, composed and framed. Yet, simultaneously, the developed photograph as a physical object functions as an authentic trace of a fleeting moment in physical space, of real live people, found objects and unpredictable natural light. The resulting works assume an ambiguous quality that is distinctive, striking and compelling. In Heavy Weather, Appleson presents a new series of experimental photographs that bring the seemingly neutral black backdrop of his portable studio to the fore, developing and intensifying his exploration of photography and reality. The series, whose title echoes the name of 1977 album Heavy Weather by jazz fusion band Weather Report, depicts the effects of light and weather conditions on a semi-translucent polythene sheet photographed at different times of year and day. Each work is titled after the exact time and date when it was made. The results are as unpredictable and varied as the state of the British weather conditions that they represent. At times, the sheet’s materiality, its texture and folds, is almost tangible on the image’s surface. At other moments, the sheet seems to disappear entirely, as light and shade transform the image into expressive, almost painterly abstraction. Indeed, Appleson’s work is deeply indebted to painting, particularly Turner’s quasi-abstract, expressionistic paintings of land and sea that sought to represent the visual effects of light and atmosphere. 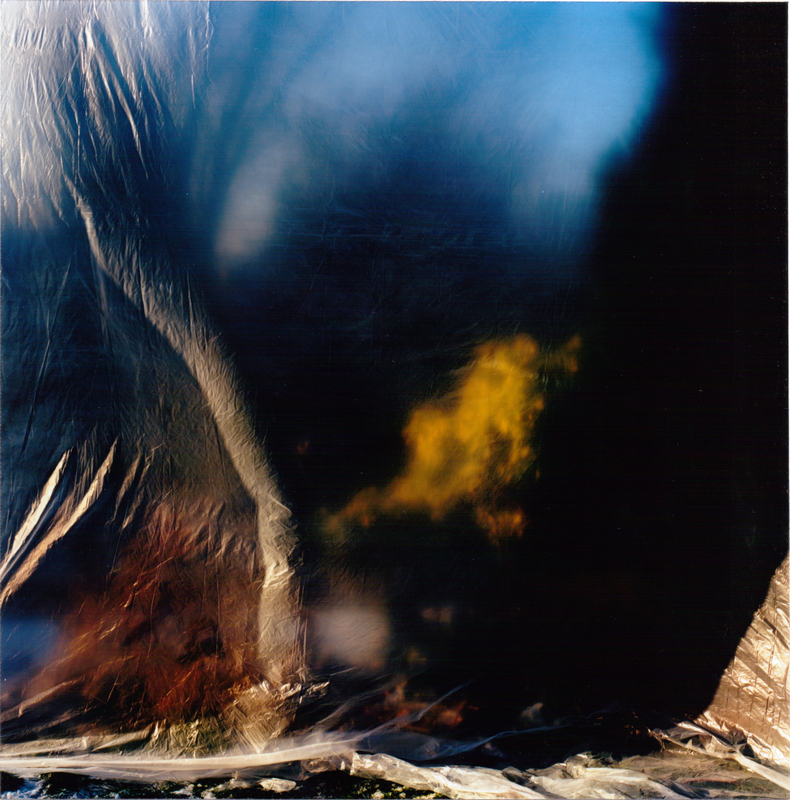 In Appleson’s photographs the constantly moving, changing light is equally significant as subject and material. It reveals colours ranging from warm reds and oranges to freezing cold blues and whites, and shadows suggesting an imaginary Turneresque topography of epic land and seascapes. However, in these photographs Appleson also pushes beyond representation to discover other methods of capturing reality, inspired by the radical experiments of abstract expressionists such as Agnes Martin, Cleve Gray and Jules Olitski in the emotional effects of spontaneous mark-making and colour. Appleson, however, does not make his marks with paint. The polythene sheet is a canvas on which the artist seeks to capture a material ‘trace’ of the natural world, of light and weather, through the camera’s lens. In a sense, Appleson’s project might be understood as an unconventional form of land art, making nature itself the subject, site and medium for the creation of art. Remarkably allusive and conceptually layered, the works in Heavy Weather represent a bold new experiment, while retaining the singularity of Appleson’s creative voice, as he continues his exploration of the nature and possibilities of the photographic image. Trevor Appleson (born in South Africa) has exhibited widely and completed major projects in South Africa, Mexico, Israel, Italy and the UK. His recent commission from The Library of Birmingham and MAC Birmingham focusing on youth culture resulted in a major solo show at MAC Birmingham in 2015. Other notable solo shows include The Stanley Picker Gallery (London, UK), Museum of Contemporary Art Denver (USA), Hales Gallery (London, UK), The Jerwood Foundation (London, UK), and Galerie S65 Cologne (Germany). Selected group shows include The Evangelos Averoff-Tositsas Foundation (Athens, Greece), Aurel Scheibler Gallery (Berlin, Germany). His works are included in numerous public and private collections. Appleson’s books Los Loss and Free Ground are published by Booth-Clibborn Editions. His new publication Portable Studio is published in 2016.